Yaya Coulibaly is an agronomist at the Cinzana-Gare Agricultural Research Station located in Cinzana-Gare, a village located 37 km from the town of Ségou. The Station's mission is to improve crops to help out the local rural communities for their agricultural practices. Yaya is also a participant in the Rising Voices grantee project Ségou Villages Connection, where he has taken part in various trainings conducted by Boukary Konaté, as a way to tell some of the stories of these rural communities in the Ségou region despite many difficulties in regards to internet connectivity. He has created a Twitter account (@YCoulibaly), where he has started to tweet about in French about this part of the country that he knows so well because of his work. 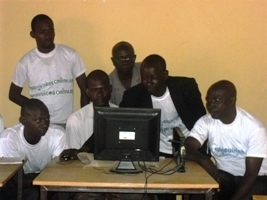 He has also contributed to the project's blog at Ségou Infos [fr]. In this email interviewed Yaya, who shares his experiences, future visions, and the need for new technologies in rural Mali. Yaya Coulibaly: I met Boukary Konaté, the founder of the project, during one of the internet training workshop for the local population. After learning about the aspired goals of the Ségou Villages project, I decided to join the team. Given the need to establish a way to inform, communicate, and share experiences in this space, I found that this idea can help address the misinformation about the villages, and above all else, inform city-dwellers and those living in other countries about the daily activities in our communities. The relevance and originality of the initiative are two factors that motivated me to take part with Ségou Infos. My role in the group is just like the other members, which consists of collecting information on the current events, current affairs, traditions, cultural activities, traditional ceremonies, and send them to Boukary via SMS, who in tern, publishes them on the Ségou Infos blog. Even though it is not easy, we do our best to send a photo to complement the sent text. YC: Information gathering happens in different ways. Things can happen right in front of us, and we can this information without having to resort to others’ report because we witnessed it. Things can also happen in the far-away villages, and once we find out about these things, we can go to the villages to collect the information directly from the source. Sometimes if transportation is not easy, we can call someone from that village, who can provide us with a concrete version of the story. As for traditions and culture, we speak to the elderly residents who are the guardians of those customs. As African children, we had some notions of these stories that we learned since we were very young. We can share those stories with other persons through SMS. It is not very easy to contact these people because our rural society is not used to this kind of activity. It is not easy for them to understand why they should provide this information. This, by the way, is what often explains the slow speed of sending information to the blog. But since we are determined to make this project successful and with Boukary's strong will, little by little we shall manage to help the population understand the initiative. What we do is a bit similar to journalism, but here it is a very modern and new idea. 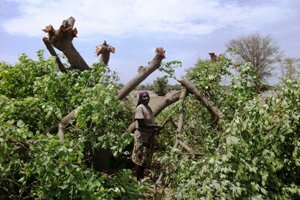 RV: You are an agronomist and it is a bit different from your activities with Ségou Villages. Therefore, to which extent do you think that your career is benefiting from the training you received? How do you think new technologies can help in our daily life? YC: I am the primary beneficiary, but these group activities involving phones allowed me to pursue other activities, in addition to voice communication. At work, I sometimes have access to machines and the internet, but I didn't have much idea how to best use them. But thanks to the SMS, photography, and video-filming workshops with mobile phones and digital cameras held in Cinzana-Gare and Dioro given by Boukary, I am much more informed, which allows me to easily perform certain activities within the framework of my own job and my own daily activities on the internet. Thanks to those different trainings, I discovered that new technologies can enable villages to communicate with the rest of the world, and take part in the sharing of information, experiences, and knowledge in the modern world. RV: Segou Infos was created because of the lack of contact or communication in Mali, mainly between cities (especially the capital city of Bamako) and the country's rural communities. How do you think this initiative can be improved and developed in order to have a wider scope? YC: The daily activities of the Malian cities are regularly covered by the media, such as television, radio, and newspapers. When it comes to information and communication, radio also plays an important role in rural communities. Despite all this, there is a big gap between cities and villages. The Ségou Infos blog intends to break down the wall between the Ségou villages and the capital Bamako in terms of information about the daily activities of the local populations. Currently, information is only sent via SMS using less-than-appropriate phones with small buttons. Our job would be much easier if we were using smart phones with larger keyboards. 3G options with smart phones would reduce sending time to the blog administrator especially for images. 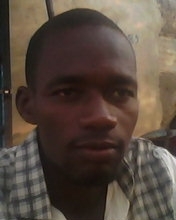 The mobile internet multiplication designed by Boukary is an important system that makes the job easier. If each participant had at his disposal the material of this internet connection system in the villages, we would would be able to update the blog, just as it is done in the city. YC: Ségou is the 4th region in Mali with a lot of mixed ethnicity: the Bozos, the Somonos, the Bamanan, and the Peulhs. The main activities are agriculture, livestock, and fishing. There is a culture of rice-growing, fishing, and gardening that are favored because of the Niger River. The Bambara language is widespread in the Ségou region. In addition to those activities, trade is well practiced at the weekly fair in Ségou and in other villages around the region. Those markets allow the people of the Ségou region to contribute to the development of the region. Ségou is an ancient kingdom, the region contains touristic sites that are worth being discovered. One of Ségou's strengths is the sense of sociability, mutual support, solidarity, and hospitality towards all that visit us. In certain families in some Ségou villages, a house built only to host foreign visitors. RV:Anything you would like to add as a last world to Rising Voices readers that are from all over the world? YC: As a last word, I would like first of all to thank Boukary Konaté, who with his courage and commitment to his native community, helped us discover new ideas on the internet. It is an opportunity for me as well, to say that those activities have been an opportunity for the participants to discover Global Voices and Rising Voices, and their important activities achieved in terms of the promotion of information and new technologies. I ask the readers to help support us with mobile phones and used computers so that we can reach the aspired goal: to inform the rest of the world about our activities.